It used to be the case that if you wanted to get a computer, you’d have to remortgage your house to pay for it. Now, you can get one for an Abraham Lincoln. Go figure. Yes, microcontrollers are computers, and there are three that come in under the $5 price point: The Arduino, the Raspberry Pi Zero, and the NodeMCU. So, what are their strengths? What are their weaknesses? More importantly, which one should you use for your project? The Arduino Uno is the oldest device on our run-down. It dates back to 2005 when it was created as as a teaching tool for students at the Interaction Design Institute Ivrea, in Northern Italy. Since then, it has been improved, modified, and cloned countless times, and spawned a revolution in electronics and creative programming. If you were to buy an official Arduino from their online store, or from a retailer like Farnell, Adafruit, or Maplin, you can easily expect to pay around $25. The genuine product hasn’t deflated in price as one might have hoped. However, the Arduino is an open-source product and there are manufacturers in China who have created perfect clones Arduino Buying Guide: Which Board Should You Get? Arduino Buying Guide: Which Board Should You Get? There are so many different kinds of Arduino boards out there, you'd be forgiven for being confused. Which should you buy for your project? Let us help, with this Arduino buying guide! Read More which sell for as little as $5 on eBay and AliExpress. These $5 knock-offs work and act just like the real thing. They use the exact same chips, and are built to the same specifications as the genuine article. The only reason you should ever pay full price is to support the Arduino project. Probably the biggest advantage of the Arduino is its simplicity. There’s no configuration required beyond physically building the thing you’re making. You don’t have to build and configure a full Linux system, as you would with a Raspberry Pi. You just write the code on whatever computer you normally use, compile it, and flash it to the chip. Another huge advantage of the Arduino is that they are surprisingly fault-tolerant. It’s extremely difficult – but by no means impossible – to irreparably damage one. The biggest downside of the Arduino is that they’re fundamentally austere. If you want to add functionality like ethernet connectivity or bluetooth, you’ll have to pay extra for a compatible shield The Top 4 Arduino Shields To Superpower Your Projects The Top 4 Arduino Shields To Superpower Your Projects You’ve bought an Arduino starter kit, you’ve followed all the basic guides, but now you’ve hit a stumbling block - you need more bits and bobs to realise your electronics dream. Luckily, if you have... Read More . These aren’t cheap, with official shields costing between $20 and $40 on average. But as with the Arduinos themselves, you can save money by buying Chinese knock-offs online. Another thing to be wary of is that the Arduino Uno also uses a slow ATMEGA CPU, and has limited memory and storage. 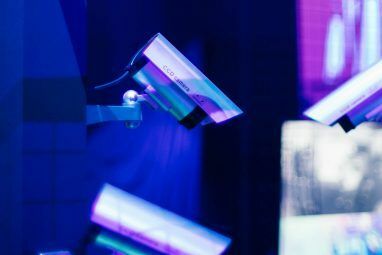 This means that if you’re gathering data like sensor readings, you’ll have to figure out how to process it at a connected computer. Probably the best use-case for the Arduino Uno is as a tool for learning electronics Learn Electronics and Arduino Just By Watching These Videos Learn Electronics and Arduino Just By Watching These Videos Learning to program your own electronics is empowering and rewarding, but it can be difficult to get started without guidance. We've rounded up the best videos, YouTube channels and online courses to get going. Read More , and building simple Internet of Things (IoT) The Internet of Things: How It'll Change Your Life Next Year The Internet of Things: How It'll Change Your Life Next Year Internet of Things has undergone its own Cambrian Explosion, and it promises to make your life much more convenient in the years to come. Here's why. Read More products. While it isn’t the most powerful microcontroller on the market, it’s certainly the most well-understood and well-documented, and there’s an awful lot of tutorials and guides available for it. You should also consider the other Arduino models Arduino Buying Guide: Which Board Should You Get? Arduino Buying Guide: Which Board Should You Get? There are so many different kinds of Arduino boards out there, you'd be forgiven for being confused. Which should you buy for your project? Let us help, with this Arduino buying guide! Read More , each of which is suited to a slightly different purpose. The Raspberry Pi Zero Raspberry Pi Launches $5 Model Zero: Here's How It Compares Raspberry Pi Launches $5 Model Zero: Here's How It Compares The Raspberry Pi foundation just announced the Raspberry Pi Zero: it's essentially a cut-down Raspberry Pi, with a price tag to match: each one costs $5. That isn’t a typo. Read More is essentially the original Raspberry Pi Model A+ What Can You Do With The New Raspberry Pi A+? What Can You Do With The New Raspberry Pi A+? Curiously, this new Raspberry Pi doesn't feature any additional hardware. In fact, it has fewer ports. Just what are the Raspberry Pi Foundation up to? Read More , but shrunk to the size of a business card. You can buy it from all the usual suspects – Farnell, Pimoroni, and AdaFruit – for $5, or £4 in the UK. In fact, when it first came out, the Raspberry Pi Zero was given away as a free cover gift in the 40th issue of the MagPi. How insane is that? A computer that can run a full version of Linux was just given away like a cheap tube of lipgloss in a teen magazine. While its single-core 1Ghz CPU and measly 512MB of RAM isn’t enough to browse the Internet smoothly, it can do pretty much everything else you’d use a microcontroller for. Sadly, the Raspberry Pi falls down in two major areas: Networking and USB connectivity. It has only two micro USB ports, and there’s no Ethernet, Bluetooth, or Wi-Fi to speak of. To add or extend this functionality, you’ll have to buy an adaptor. This will cost less than you think. A MicroUSB to RJ45 network adaptor can be had for just $2.16 on AliExpress, including free shipping. The Raspberry Pi Zero offers the most processing power out of all the microcontrollers listed. As a result, it’s best used for more CPU intense projects where an Arduino would struggle to cope, such as data processing and visualization. The NodeMCU is an impressive little microcontroller, and offers a lot for its diminutive pricetag. Unlike the Arduino, which is powered by an 8bit ATMEGA clocked at 16MHz, this is powered by the ESP8266 chipset, which uses a 32bit Tensilica Xtensa LX106 core, clocked at 80MHz. It also includes Wi-Fi, a built-in TCP/IP stack, 4 megabytes of onboard storage, 20kB of RAM, and 10 pins of GPIO (General Purpose Input Output). These can be connected to components like motors, sensors, and servos. Much like the Arduino, there’s very little setup involved. You just write your code, and send it to the device over an USB connection. Programs for the NodeMCU are written in Lua, which is an interpreted programming language similar to Python and Ruby. In many respects, it’s probably easier to learn than the variant of C used by the Arduino. It has a much simpler syntax. Speaking of which, if you already know how to write code for the Arduino, you can flash the NodeMCU with an Arduino image. James Bruce explored how to do this in his review Meet the Arduino Killer: ESP8266 Meet the Arduino Killer: ESP8266 What if I told you a there's an Arduino-compatible dev board with built-in Wi-Fi for less than $10? Well, there is. Read More , where he described the NodeMCU as an “Arduino Killer”. You can pick up a NodeMCU for as little as $3 direct from China (or closer to $9 on Amazon), and it’s the only board here which packs any form of onboard networking. If you wanted to add this feature to the Arduino Uno, for example, you can easily find yourself paying an extra $40. Let’s recap. If you’re going to be learning electronics from scratch, you should get an Arduino. If you’re going to be making a project that requires a lot of power, use the Raspberry Pi Zero. 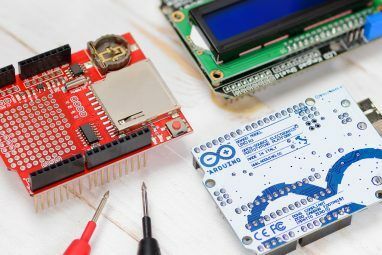 If your project connects to the Internet in any way, use the NodeMCU. Out of these microcontrollers, which one is your favorite, and why? Drop me a line in the comments below, and we’ll talk all about it. Explore more about: Arduino, Electronics, Raspberry Pi. The Raspberry Pi ZeroW is a bit more expensive ($10) but has Wi-Fi and Bluetooth built in on the board, so that has become my go-to choice. However, perhaps a nodemcu is better from the power consumption side, if you want to run it off a battery. I have to say that my favorite doesn't come close to the $5 mark, but the Intel Edison has to be close to the King. 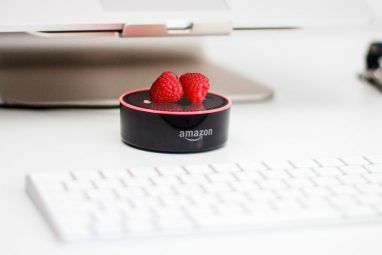 It too will accept sketches like the Arduino, and has Linux on board the Pi, and has the connectivity like the NodeMCU. The small form factor smaller than a government postage stamp can accommodate a 3.7V LIPO all packed inside a match box. Quick specs with Bluetooth and Wifi on board, 70 pins out, 4GB of storage, 1GB of RAM, on a dual core Intel Atom running at 500 Mhz. And as if that was not enough, the Intel Edison has an additional embedded MCU running at 100 MHz to independently drive your GPIO controls. Tie in the Linux network file system to your virtual hosted 40 GB server and space is never an issue. Oh and save power, 200mA when radios are off 600mA max when on. 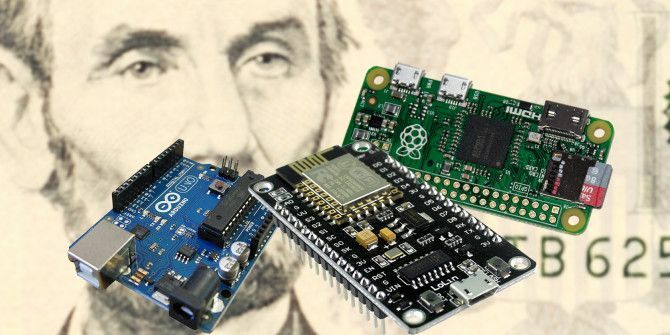 Now while the Edison might set you back about $80, it is surprising that using the Arduino or the Raspberry Pi's - most projects will far surpass this $80 mark and have little to show for it.